For a beautiful lawn all year long trust the yard care experts at Koch Kuts. From mowing to raking to seeding we’ll make it great. 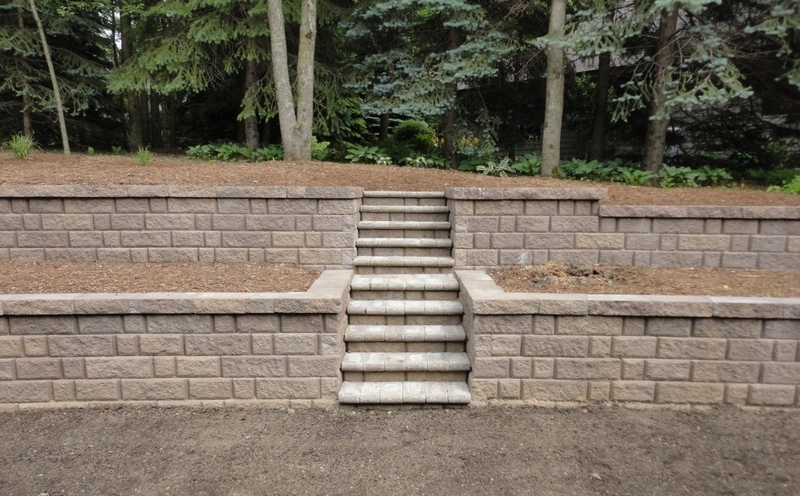 Beautify your yard and help fight erosion with retaining walls from Koch Kuts. Choose the materials and style that are right for you. You’ll never settle for asphalt or concrete again after you’ve seen what we can do with brick pavers. Get paths and patios today. 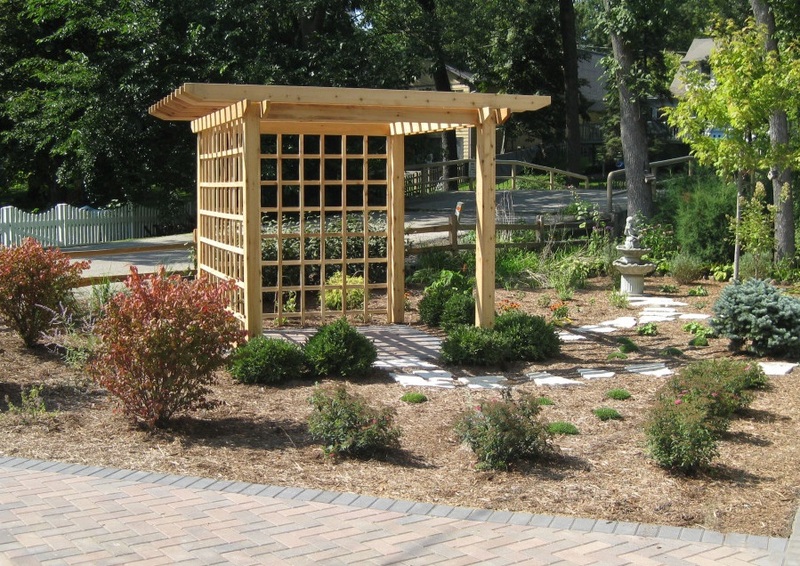 Be a proud owner of the most eye-catching landscape designs by Koch Kuts. You are sure to be others’ envy! 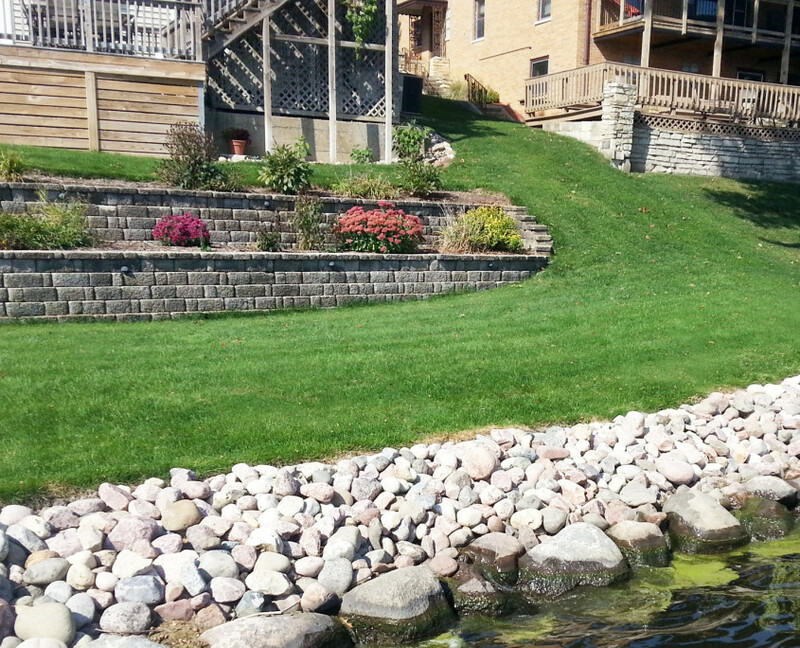 Koch Kuts is the smart choice for landscaping services in SE Wisconsin. 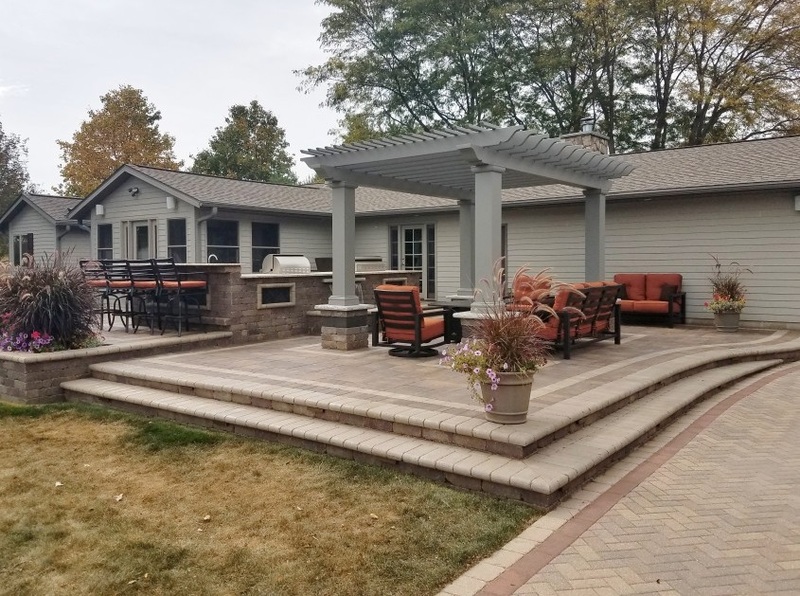 From designing and installing beautiful hardscape solutions, to providing reliable lawn care maintenance, your yard will impress visitors and neighbors alike when our Burlington landscapers are on the job. Choose Koch Kuts when you’re looking to spruce up the appearance of your lawn, improve your home’s curb appeal, or sell your house. When landscape design and installation is done right, the sales potential of your home will increase, as well as its value by 5-11%. 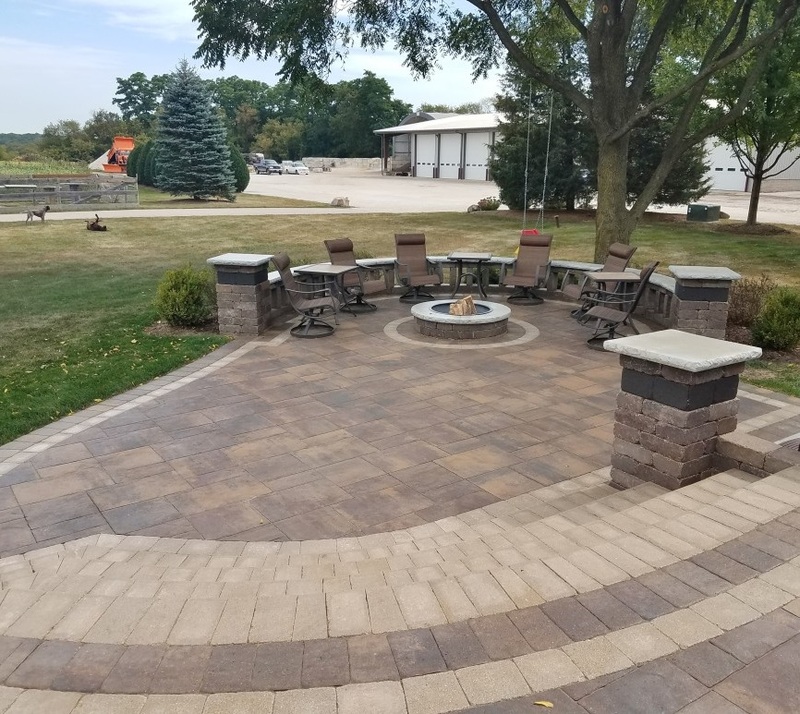 Whether you’re interested in residential or commercial landscaping services – like mulch installation, turf management, and seasonal clean up – or ready to build the backyard oasis you’ve been dreaming of, our brick pavers and landscapers have you covered. 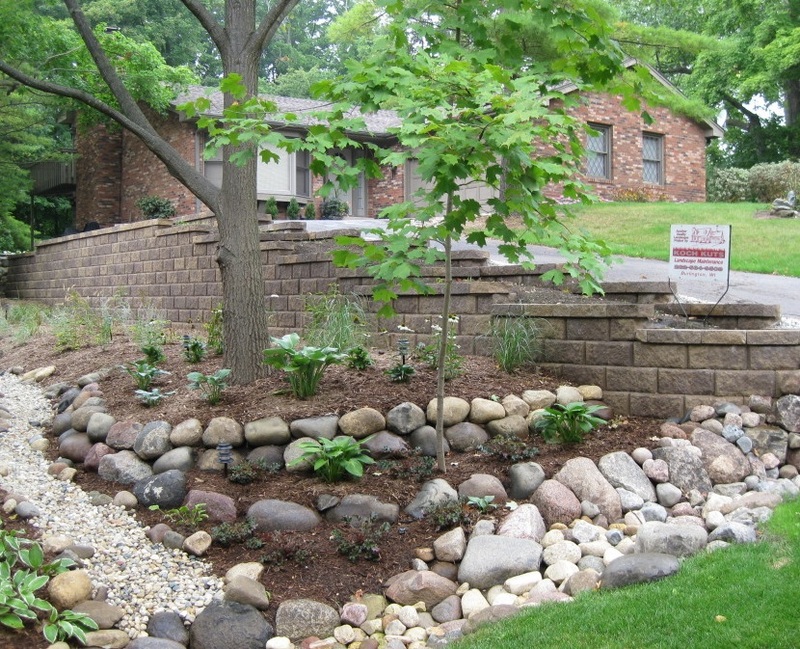 We’re a fully-insured, proud forerunner among local landscaping companies in and around Muskego, Burlington, Waterford, and Mukwonago, WI. 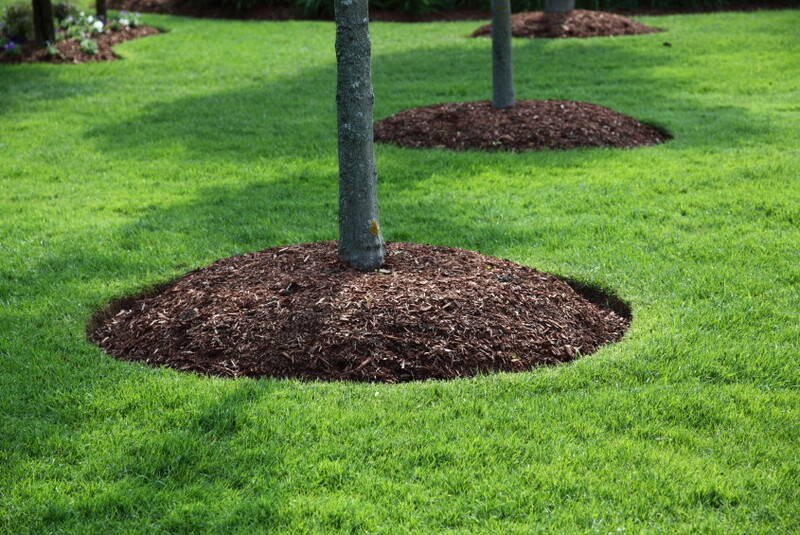 Contact our Burlington Landscaping Contractors for a quote or to schedule service! As a property owner, you want the exterior of your home to make a statement as impactful as the interior. With so many available options, deciding where to begin can be a challenge. Designing the garden, patio, or outdoor living area of your dreams doesn’t have to be stressful, though. Koch Kuts’ professionals make the entire process easy – walking you through your options and fully understanding your landscape vision to deliver the best results. Our landscapers are friendly, knowledgeable and eager to transform your drab backyard into the beautiful getaway you want. Creating a unique, comfortable outdoor oasis is a landscaping trend growing more popular every day. As a society we continue moving towards entertaining ourselves, friends, and family at home rather than going out – so make the investment in your property and reap benefits for years to come. 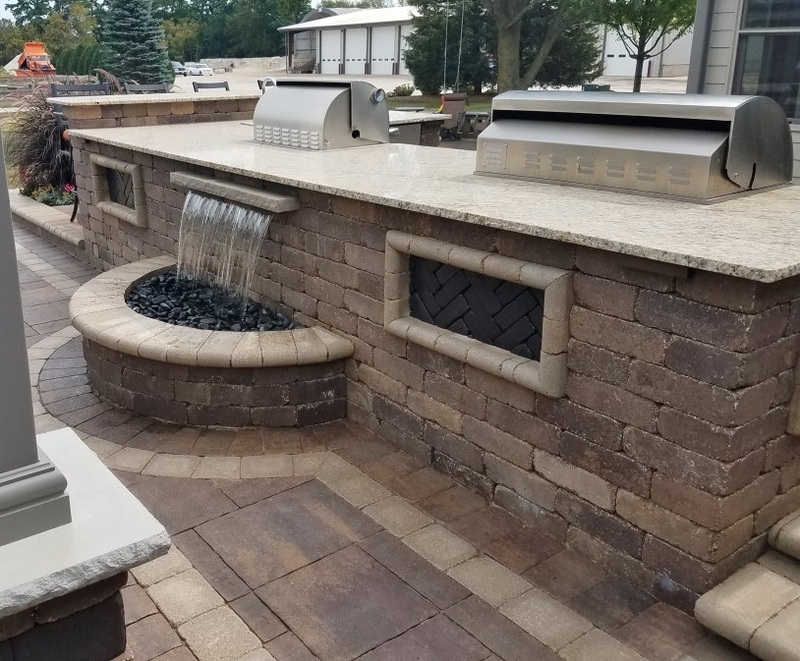 Flawlessly installed outdoor kitchens and bars, fire places and fire pits, and new water features will create the personal resort you’ve been building in your imagination right in your own back yard. 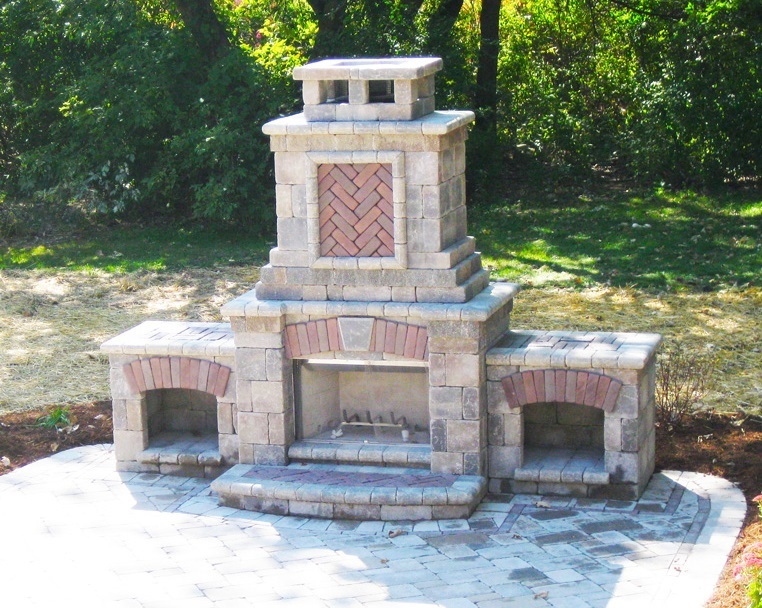 Hardscape Design & Construction is an area our professionals truly excel. 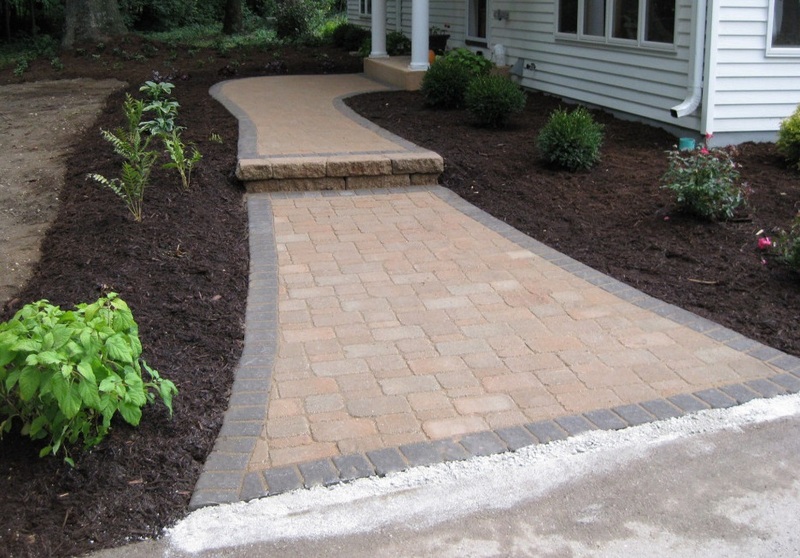 We’ve enhanced both residential and commercial properties with custom hardscape solutions. 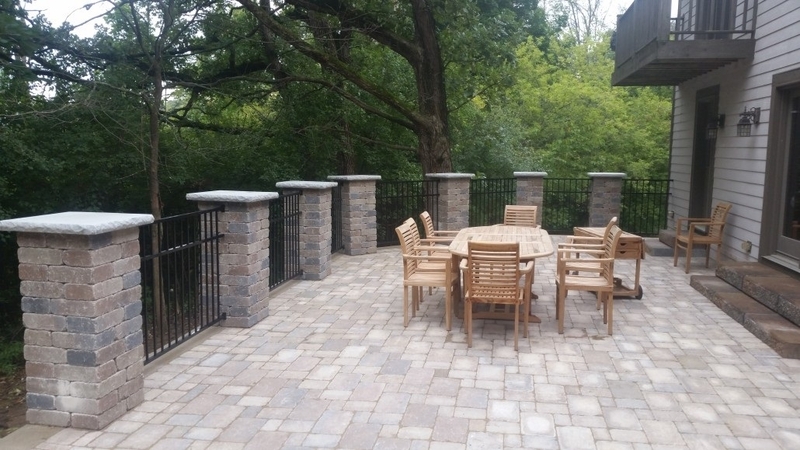 If you’d like to get a quote or discuss your hardscape ideas, contact us. Koch Kuts offers hardscape services for front yards, back yards, outdoor living spaces, hillsides, gardens, shorelines, and more. 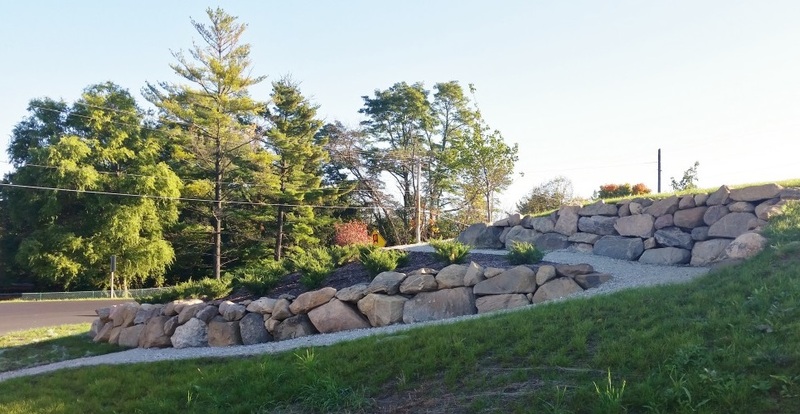 Whether you’re looking to improve aesthetics, add function, or combat landscape erosion; our Burlington, WI Hardscape Company can help. 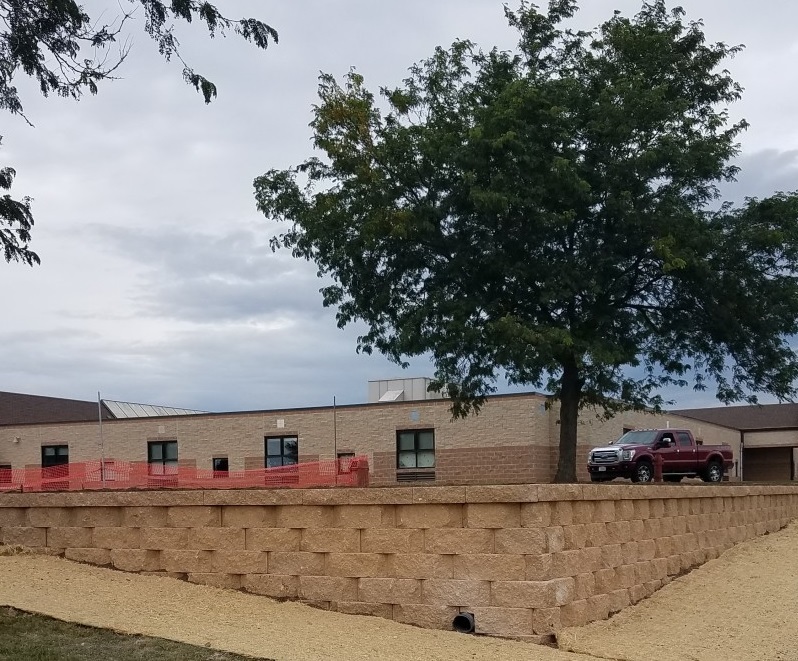 We happy to deliver quality hardscape construction to areas across SE Wisconsin, including Burlington, Waterford, Lake Geneva, Muskego, Racine, and Kenosha. 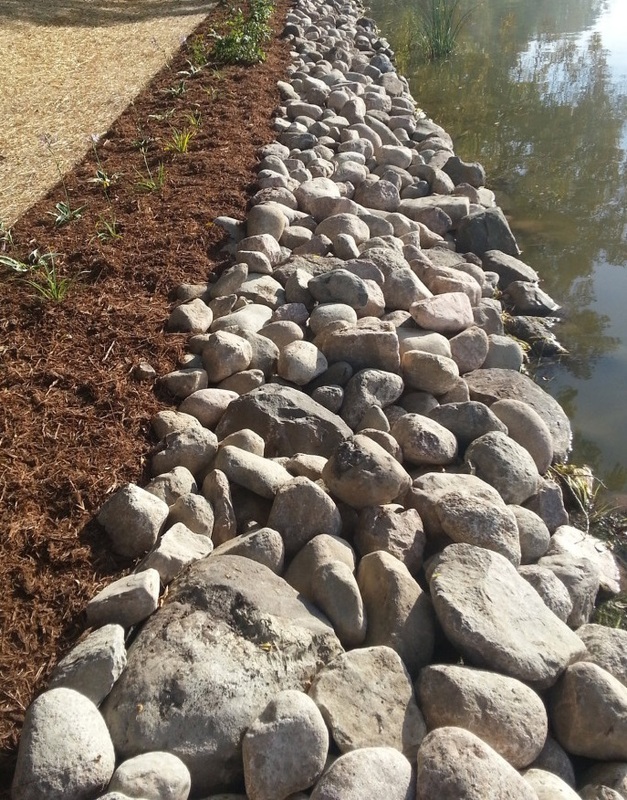 Whether you have questions or are interested in scheduling an appointment, we’re ready to serve your landscaping needs! For a FREE service estimate, call us today at (262) 534-9509.